Apple for a while has been rumored to be interested in and working on mobile payments. Given the strength of Apple’s great innovation track record and the influence that Apple products wield over the industry, technology and the eco-system, Apple’s interest in Mobile payments is noteworthy. Time and again, repeatedly, Apple has brought forth innovations in various segments it has operated in viz. smartphones (iPhone), Tablets (iPad), Application (Apps store), Music (iTunes and iPod). Given Apple’s stake in Web 2.0 and Mobile 2.0 technologies, a mobile payment platform is a natural extension, a transaction enabler and the missing piece of the monetization game. Not that Apple is new to the game. They are already doing mobile payments since they launched the iPhone. Their solution is built on an existing payment relationship – iTunes to download music on the web. Apple’s 160 million iTunes users outweigh Paypal’s 90 million. Contactless payments or Near Field Communication chip iPhones could open up payments and they could help create new business models for in store payments. This could also couple with location based ads and other applications. Apple drove the development of new business models with the music and smart phones – depending on what they do they could change the rules by which different players interact to do payment and commerce. So they have the potential to move the NFC world forward significantly by developing a new tapestry of the hardware, software and business models to move it forward. While NFC has been on the horizon for a while with sporadic trials by Obopay and others, Apple moving into this space should ignite the market. Apple’s moves will have particularly powerful impact, and the only other player who is also mulling contactless payment solutions at this point is Google. Apart from Contactless payments, Apple is also trying to specialize in allowing users to use their mobile phone number to purchase digital content on the web using their phone number and their phone bill. Boku, a gateway specialist in Mobile carrier billing is rumored to be in talks with Apple for a possible acquisition. Then there is this talk of Apple trying to create an online Virtual currency much like the Facebook credits for the Application and iTunes purchases. There are significant volumes in there for Apple and again the eco-system is pretty well set and Apple would only need to put the online currency in place for this transaction system to talk off as well. This would mostly cater to P2P payments transfer, casual payments, payments to individual merchants, cross border remittances and check replacement. In markets where P2P is fully implemented it represents over 50% of the mobile payment transactions. This is a big opportunity and right in Obopay’s sweet spot. Apple is already big in mobile payments with iTunes and Apps store and Apple would sooner be looking to leverage this play into a bigger pie of online and instore payments. In a first of its kind, Bharti Airtel has been given the go ahead by the central regulatory bank in India to execute mobile money services. This would allow users to exchange physical cash for virtual money to pay for goods/services less than 5,000 rupees. For starters, Mobile money is defined as the use of the mobile phone as a channel to conduct payments, account management and other financial services. 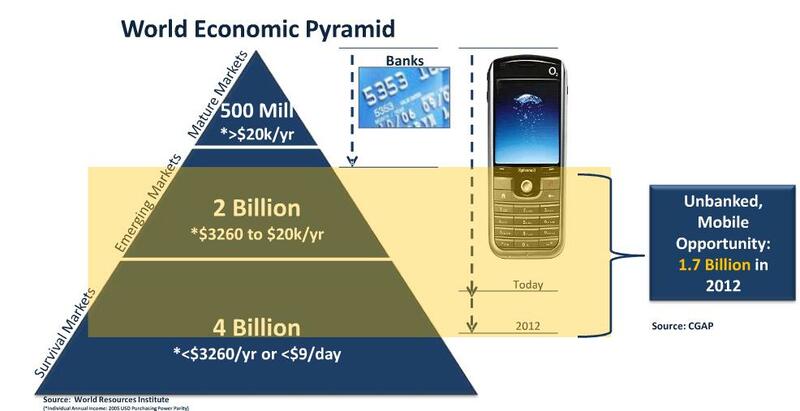 Relevance of Mobile Money to India: Given below is a representation of the World Economic Pyramid and financial service access across the three tiers of global markets. India is a typical case of co-existence of all three markets and if at all, the disparities are likely to be bigger and more stark compared to any other geography in the global context. One common reason for lack of access and reach across geographies in India is the cost of last mile connectivity which is significantly higher than revenue/margins accrued. That is where Mobile Money Services can be very effective. For a banking perspective, Mobile money services can reduce cost of transaction 500 times. While Mobile Money/Mobile financial services pan across different segments of usage such as Payments, MicroFinance and Mobile Banking, the real potential of Financial services through mobile is accrued when an amalgamation of services such as Healthcare, Insurance, Access to Credit services drives efficiencies in Survival markets. Easy and Cost –effective access to Healthcare through a combination of Mobile Financial services and 3G services can be very instrumental in taking Healthcare services into rural Hinterlands. Inspite of the best efforts by Government of India, Healthcare services is unable to surmount the last mile given deficiency of doctors and trained staff available for Rural Healthcare services. Micro-credit extension to the relevant and the needy can be a huge enabler in sorting the “New Variant Famine” Hypothesis of Alex De Waal. 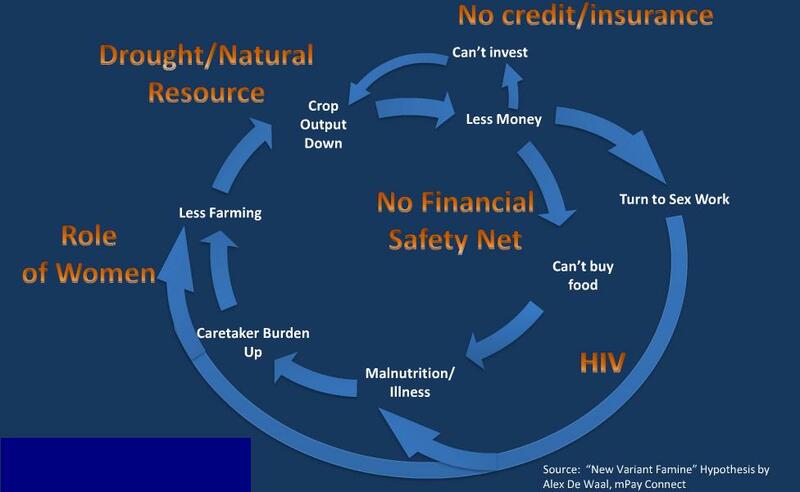 Micro Credit access has other cascading effects on HIV, Malnutrition, Infant Mortalities. Combined with access to information, Micro Credits can be huge enabler to making the survival markets more economically self dependent.An example in this regard is Syngenta’s Kilimo Salama in Kenya which has helped reducing risks and increased investments through mobile micro Insurance for small holder farmers. Mobile payments/Mobile banking has been in vogue for some time now. There is lot of promise that this mode of mobile transaction has shown for taking banking to the rural geographies in Africa and Asia. This is the next big billion dollar opportunity. Here’s a continuation of the mobile banking/payments story. SMS ticketing schemes such as those offered by OBB Austrian Railways and Skane Traffic in Sweden have been important developments in the mobile payments market. It also revealed that shopping by mobile at stores such as Amazon Mobile is also tipped for significant expansion over the next five years. The evolution of Mobile payments will be such that whilst the digital goods segment will account for nearly half of the market in 2010, the emerging segments such as physical goods payments, NFC and money transfers will impact the market rapidly. By 2014 for example we forecast that physical goods mobile payments market will be worth $100bn and that in developing markets SMS driven money transfer services are the main driver, increasing at a rate of 30% per annum. Mobile VAS services and Data ARPU is looked upon as the redeemer of ARPUs in India. However, for mVAS to make an impact, it needs to be more than mobile infotainment. Profiling Conferencing, Mobile Adevrtisements, Education, Healthcare, Live feeds of Wholesale Rates, Mobile Payments, Ticketing and the UID tagging which will lift the mVAS game to mass usage levels.Here’s the top few expected to drive mVAS big. Conferencing: Video Conferencing is increasing with companies cutting down their traveling to reduce costs and also for security reasons. This trend will not only help reduce costs but also reduce the Carbon footprint of physical travel. Even if Mobile advertising in India is still at a nascent stage, Mobile as a medium has the highest reach in the country and the potential remains extremely high. 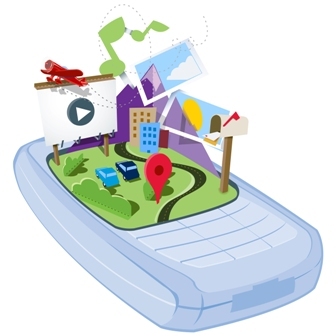 2009 saw a dramatic rise in Mobile advertising through the two main delivery mechanisms i.e. Voice and SMS. Mobile sMS Advertising will likely shift from being a mass advertising medium to selected targeting which will be based on subscriber profiling. While Business and Advertising and Infotainment will be the drivers to MVAS in times to come, but the greatest challenge would be in terms of making MVAS mainstream. Experiences in rural India show that information and communications technology can enhance poor people’s opportunities by improving their access to markets, health care and education. Education: One such successful example of this is The Stanford Learning Lab that has created a prototype SMS quiz to aid learning of new vocabulary. The aim of this project was to provide highly flexible, mobile learning material that users could access in very short time-spans ranging from 30 seconds to 10 minutes. The constraints of the 160 character limit of SMS messages turned out to be an advantage as it forced the construction of suitably concise chunks for such short-term learning opportunities. Healthcare: Apollo Hospital group has set up a 50-bed telemedicine center at Aragonda village (Andhra Pradesh, South India). It has also set up freestanding centers at Guwahati and Kolkata. These centers are equipped with facilities like CT- scan, X-ray, ECG and integrated laboratory and are linked to Apollo’s specialized hospitals at Hyderabad, Chennai, and Delhi for seeking referral services, second opinion, post-acute care, interpretation services and health education. The hospital group has also a web portal, Apollo Life that allows patients to interact with doctors via the web, upload all their diagnostics and reports on the net. Escorts Heart Institute and Research Centre (EHIRC), Delhi through its Escorts Heart Alert Service (EHAS), Utilizes telemedicine in establishing prompt contact with patients in distress. The EHAS subscribers can record their ECG’s at the time of discomfort through the cardiac beeper provided and transmit them through a telephone to the “heart alert centre”. These tele-ECG”s can be monitored 24-hours at the dedicated center and fully equipped mobile cardiac care units from the centre can be rushed to provide intensive care to the patients before they brought to the hospital for medical investigation. India is a vast country and the role of Telecommunications for realizing tele-diagnosis, tele-consultancy and tele-education can be a boon to people who still have relatively low access to medicine and healthcare. Access to Opportunity: With the advent of 3G, fishermen can negotiate prices for their catch before heading for shore by sending in pictures of the type of fish they have on board. Similarly, farmers and horticulturalists who have perishable produce can take advantage of 3G services to bargain for the best prices before harvesting, by bypassing middlemen. Services like Mobile Banking, Mobile Money Transfers, Utility Bill Payments, Payments for purchase of movie tickets etc are also likely to take off. Giving the Indian billion an identity: Identity authentication at banks, gas connection centres or while providing rural jobs will just be an SMS away. The Nandan Nilekani’s project will provide a unique identification (UID) number, not a card and the authentication will be made by using mobile phones. Once the numbers are issued the authentication will be done Online. The authorities will send the UID number to the designated points through mobile phone message. Also, the fingerprint of the person can be sent to the central database and the authentication can be received within minutes verifying the identity of the person. It will help provide portability to our farmers, laborers. When they move from state to state, this UID will help them get employment without hassles. Banks, mobile service providers, LPG gas connection counters and many more partner organizations can use this UID to verify their customer. With the growing mobile phone network, this will become an easy process for authorities to verify people. Nandan Nilkeni’s team is likely roll out the first batch of UIDs in 2010. They plan to issue at least 600 million UIDs over the next 5 years. Finally, in a country that has been Infrastructure starved for all times, Indian companies have already laid out a 670,000 kilometres network of optical fibres even in the remotest areas and the progress on this front still continues. rural network based on the extensive optical fibre network, using Internet Protocol and offering a variety of services and the availability of open platforms for service development, viz. the Next Generation Network, appears not only to be an attractive proposition but a powerful one as well. Fibre network can be easily converted to Next Generation network and then used for delivering multiple services at cheap cost. A study earlier had indicated the Telecommunications sector will increase its contribution to the India GDP from the existing 2% to 14%. That sounds a few degrees steep. But then the power that can be generated by linked a billion people together is also incomprehensibly powerful. Mastercard is introducing a Mobile Payments Gateway that delivers end-to-end mobile payment solutions. This is a milestone feat for m-Commerce. It will be much easier to send and receive money through the mobile device than it’s occurs currently and it will boost initiatives due to technologies like these. Anyone within the payment cycle can build quick and cost-effective customized mobile solutions which all will serve to offer a convenient and secure -mobile- payment process. Mobile Payments/M-Commerce are heralded as the next growth frontier for Mobiles. 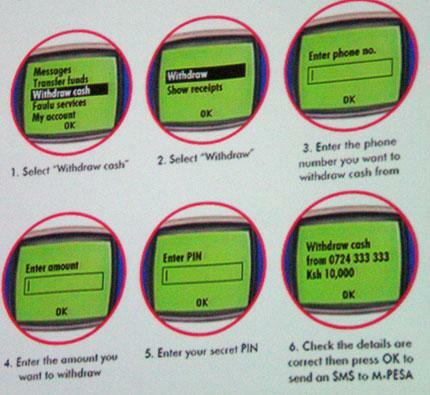 M-PESA in Kenya has set examples enabling people to have their first banking accounts on their handheld phones. Juniper estimates the opportunity at $860 billion generated made by close to 450 million consumers with 285 billion transactions by 2013. Money Transfer is expected to generate more than $200 billion in 2013. The ticketing segment will be driven by consumer usage on rail, air and bus networks as well as sports and entertainment events This will represent over 40% of the global transaction value by 2013. In 2008, only 67 million mobile phone users accessed mBanking services, whereas in 2013 the figure could reach one billion. Last year, <a href="“>VISA had demonstrated a NFC led mobile point of sale payment in a pilot at Malaysia spearheaded by Maxis, Nokia, Maybank under the aegis of VISA. Vivo, the largest mobile operator in Brazil along with Itaú Unibanco and Redecard will be the first ones to partner up with the gateway. Mastercard will introduce its Mobile payments solutions in select markets around the world. Adoption, usage and diffusion are important for a further development of Mobile Commerce and Marketing. A quick Stat showing the obvious acceptance of Mobile payments as a technology to be higher within the younger agen individuals in US. The obvious inference is to catch the customers young. 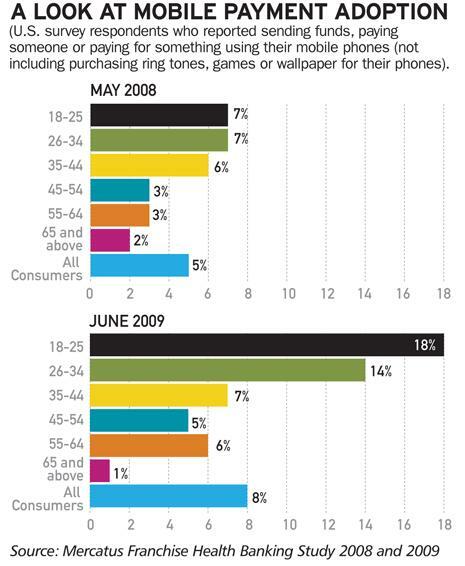 The Mobile payments technology has to be pivoted around the young adults. It would be interesting to see the acceptability of M-payments across the SEC categorizations. In the overall context the number of cell phone users is four and a half times the total number of bank accounts in India. So mobile banking is being looked at as an option for providing transfers across the length and breadth. The transaction limit: Essentially the RBI has now said that banks will be able to do transactions with a daily cap of Rs 50,000 per customer for both funds transfer as well as transactions involving purchases of goods and services. Presently the transactions are subject to caps of Rs 5,000 and 10,000 respectively. Lower Value transactions: RBI has relaxed the technology and security standards and allowed banks to undertake transactions upto Rs 1,000 without end to end encryption. 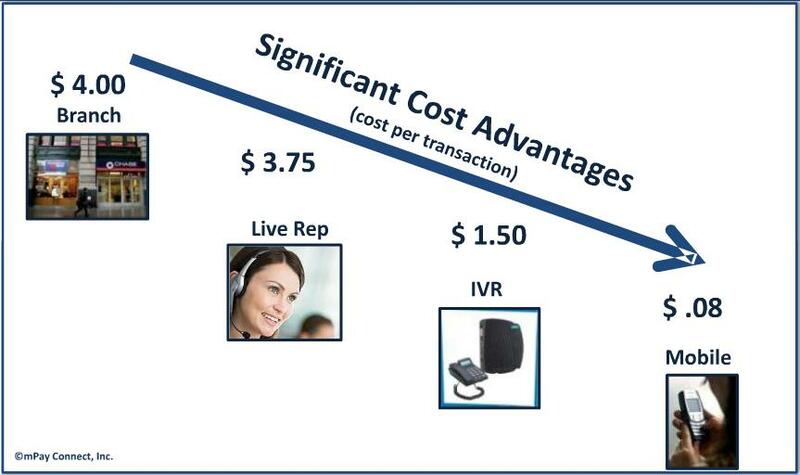 So, they have basically in some ways reducing the cost of transactions. Remittance of funds for disbursements in cash: Directly related to facilitating the use of mobile phones for cash. In the prepaid mobile phones which accounts for about 90% of the entire user base across the country, the transaction is essentially a cash transaction where the user puts in money, gets the credit and uses it. Mobile phone companies have been therefore talking about extending this for direct transfer so if you have a phone in Delhi where a person adds Rs 1,000 that money can be delivered somewhere in the hinterland of Bihar or UP. The maximum value of these transactions will be Rs 5,000 per transaction; the banks can place a cap on the velocity of such transactions subject to a maximum of Rs 25,000 per month per customer. The disbursal of these funds can be done through both, an agent or an ATM. Given the lack of infrastructure/ATMs and Banks in the rural areas, banks have been allowed to appoint agents to do such transfers. Some of these agents could well be the mobile phone operators, the service providers and the handset resellers in the hinterland. Analysts and experts and banks see this as a big push for financial inclusion across the country. Also, this is a move for retail payment from cash and cheque based transaction to mobile based transaction, which means great convenience and also reduces costs. While Operators, device makers and banks will now be able to drive this initiative across the geography, it is the consumer in India who will now be able to exercise more convenience for the money that he owns. Nokia Money (Part 1): A new eco-system in making! Nokia is launching a mobile financial service next year targeting consumers, mainly in emerging markets, with a phone but no banking account. Consumers would thus be the Sec D junta, who use the mobile as a means to earn livelihoods but do-not have any social and financial security. There are 4 billion mobile phone users globally but only 1.6 billion bank accounts and 1 billion credit cards. There is pretty significant gap between people, especially in emerging markets, who have a mobile device yet don’t have a bank account. Nokia is truly looking at the C K Prahlad’s “bottom of the pyramid” in trying to put together this service. The strength in numbers/volumes outweighs the margin considerations. Nokia already has a tremendous equity as a device manufacturer in the Sec D segment. Services like Nokia Money and Life tools would make this strengthen this equity even further. Nokia Money enables people to carry out daily money management with their mobile devices. The service has been designed to be simple and convenient as making a voice call or sending an SMS. It will enable consumers to send money to another person just by using the person’s mobile phone number, as well as to pay merchants for goods and services, pay their utility bills, or recharge their prepaid SIM cards (SIM top-up). The services can be accessed 24 hours a day from anywhere, meaning savings in travel costs and time. At the touch of a button a customer can manage their personal finances, check a balance, keep track of expenses and payments, pay for products or services, buy tickets for buses, trains and taxis as well as add credit to their mobile account. One can add cash through a Nokia agent. Nokia Money also enables remote workers to safely send money to their families and it can be used to pay off microloans. It provides instant money transfers in time-critical situations and saves travel time as well as reducing the risk of loss or theft. Nokia Money service is based on the mobile payment platform of Obopay, a privately-owned firm that Nokia invested in earlier this year, and it is now building up a network of agents. Obopay, uses text messaging and mobile internet access, charges users a fee to send money or to top up their accounts. Mobile money is one of the hottest topics in the wireless world, but so far take-up of services has been limited mostly to a few emerging markets, as in developed countries, the popularity of online banking has been a brake on mobile money. The Consultative Group to Assist the Poor (CGAP), a U.S.-based microfinance policy and research center, has said the market for mobile financial services to poor people in emerging markets will surge from nothing to $5 billion in 2012. Transactions on the device opens up an opportunity to empower people with access to secure financial service for the first time. With its presence and reach, Nokia is well positioned, especially in emerging markets, to bring electronic means of payment to hundreds of millions of individuals for the first time. Now payments would be made time and location independent, while also providing better financial control, especially for those people who have never had a bank account before. The mobile service to poor people began in early 2007 with a launch of Safaricom’s M-PESA in Kenya, which has attracted 6.5 million customers, or one in six Kenyans. By the end of 2009, CGAP expects more than 120 mobile money implementations in developing markets. In the true Nokia spirit, Nokia is not opening up the offering to any other partner in the eco-system and going alone with its efforts to create a new Financial transactions eco-system. Nokia did not announce any partnerships with operators or financial institutions, only saying that Nokia Money would be rolled out gradually to selected markets starting in early 2010. It would appear that Nokia is extremely positive on the pay offs from this service over a time horizon, which is why it has not de-risked the model by adding partners! Despite the general downturn in the banking industry, new research from TowerGroup finds that 2009 will be a pivotal year for mobile banking as it turns from a niche channel to a mainstream channel for consumer banking. TowerGroup estimates that mobile banking usage will grow from 10 million active users in 2009 to over 53 million active users in 2013, representing a compound annual growth rate of 51.8%. As economic concerns prompt consumers to manage their finances more closely, their desire for real-time access to- and control of- their aggregated financial information is increasing the urgency for banks to create a mobile banking channel. More broadly, the proliferation of mobile devices and smart phones symbolizes a pervasive, networked consumer market, revolutionizing many aspects of the consumer lifestyle, including finance. To this end, TowerGroup believes that mobility will be a major disruptive force in the financial services industry. Financial services executives understand that mobile banking is a bridge to much more feature-rich, value-added mobile payments solutions. The ubiquity of mobile devices, coupled with customers’ craving for information on the go, is creating the perfect opportunity for banks to extend the reach of their banking services using the most personal possession for consumers – the mobile phone. At a time when every customer counts, mobile banking is an avenue for banks to reach new audiences and grow their business. Most mobile banking strategies today are a result of banks’ efforts to extend financial services to their existing Internet banking customer base as a next step in the evolution of the self-service business model. As time progresses, mobile banking will flourish and services will continue to evolve, moving beyond basic banking functionality like balance inquiries, location finders and intrabank fund transfers to more sophisticated applications that leverage the rich functionality of mobile devices. 1.Leverage other delivery channels to create synergies with the self-service model and utilize the full spectrum of device capabilities. 2.Develop smart integration models that give banks new segmentation and personalization capabilities for true one-to-one customer outreach based on customers’ relationship desires. 3.Think outside the bank’s customer base to capture new customers such as current unbanked customers with no bank accounts, ethnic markets and new generational users, such as the Generation Y segment, which desires self-service, innovation and paperless electronic transactions with no need for human interaction. 4.Create tight relationships between mobile banking and ATM vendors to build stronger ties with customers that currently do not have a relationship with a bank. A significant development in this context was achioeved by the credit card major, VISA who have enabled the first mobile payment for a Point of Sale transaction, thus enabling the consumer to purchase an NFC enabled mobile device of the shelf and use that device to make the VISA pay wave enabled transaction at the point of sale instead of using their credit cards.This service waas launched in Malaysia early April 2009. Maxis Malaysia, Nokia, Maybank have collborated with VISA to offer its pay wave services on mobile devices. Initially this service is enabled in the Nokia 6212 handset and 1800 outlets in Malaysia. The contactless chip embedded in the device will also power a number of additional functions, including a contactless transit application that enables Malaysian commuters to pay for charges while using metropolitan transit systems, bus terminals, highway toll gates and car park facilities at more than 3,000 contactless payment touch points throughout Malaysia. Maxis has branded these mobile payment services under the name Maxis FastTap. Visa announced last week that it is extending mobile payments to Singapore in partnership with Citibank Singapore Limited and MobileOne (M1). The Citi M1 Visa payWave payment trial on mobile devices marks the first program in Singapore where a mobile device will be used for payments at the point-of-sale. More than 750 merchant locations across Singapore are participating in the three-month pilot, which begins in May 2009. Up to 300 selected Citi M1 Visa Platinum account holders will be invited to join. Participating account holders will be provided a Nokia 6212 classic, the same NFC-enabled handset used in the commercial launch in Malaysia. Participating Citi M1 Visa Platinum account holders will be able to purchase an item at a Visa payWave merchant in Singapore simply by waving the mobile phone in front of a contactless reader at the point of sale. In Canada, Visa, RBC, and Rogers Wireless have come together for the next phase of a mobile payment pilot, which will ultimately allow Canadians the flexibility to make purchases securely at the point of sale with a wave of their mobile phone. Designed to be a fast and convenient way for customers to pay for small purchases, pilot participants will be issued specially-equipped mobile phones that can simply be waved at Visa payWave-enabled checkout readers at select retail stores and quick-service restaurants in Toronto’s downtown core. Wallet phones are mobile phones equiped to include bank cards, credit cards, house keys, company access control IDs, electronic cash, train tickets and many more functions. Wallet phones in principle can take over all functions which our wallet has.Wallet phones enable mobile operators to enter new industries, especially the payment and credit card industries. For this reason wallet phones represent innovation and disruption for established industries, such as credit cards. 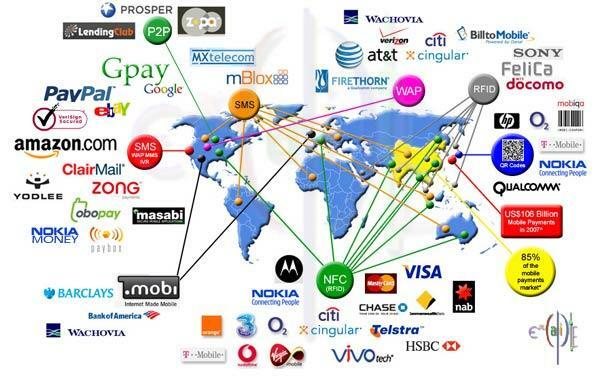 Payments through mobile phones is a fundamental shift of paradigm occuring in the wireless communication industry. It originated in Japan. Due to declining ARPU Japanese mobile operators are creating new streams of income independent of voice or data traffic. This paradigm shift led DoCoMo to invest in financial institutions, create a credit brand, and make a series of other investments including brick-and-mortar business, while competing operators follow different strategies. The NFC (near Field Communications) technology has been there on the horizon for sometime now. Currently, local mPayment transactions, also known as proximity mPayments or Near Field Communication (NFC), do not have much scope as only 1 percent of mobiles sold in 2008 were allegedly NFC-enabled and there is no widespread, popular recipient technology to complete an NFC payment. NFC is a technology that enables devices to wirelessly exchange data without physical contact within a range of 4 inches. It eliminates the need for all types of plastic transaction cards and, therefore, contributes towards saving the environment. It works in the 13.56 MHz radio frequency band, has a bandwidth of 2 MHz and can support 848 kbits per second exchange of data. However, 2008 turned out to be the first big year of reckoning. In 2008, approximately $72 billion mobile initiated business was accrued via an estimated 25 billion transactions made by nearly 40 million consumers, which included roughly $24 billion for purchasing games, music and ringtones. 18% of US households wired to the internet have made sometype of mobile payment in 2008 including online bill payment, money transfers to individuals, online loan payments and online purchases. A new analysis by Juniper Research in mobile payments opportunity forecasts that, by 2013, the figures could jump exponentially to $860 billion generated made by close to 450 million consumers with 285 billion transactions, dedicated towards the purchase of physical goods (typically gifts and books) and services other than mobile content on- demand/digital goods (such as music, tickets and games). mMoneyTransfer is expected to generate more than $200 billion in 2013. • The top 2 regions (Far East and W. Europe) will represent over 60% of the $300bn p.a. global mobile payment gross transaction value by 2013 for digital and physical goods. Western Europe is currently dominated by digital goods and services sold via SMS, whereas the Far East & China region (specifically Japan) is already well established in physical goods sales over the mobile web, and has been for a number of years. 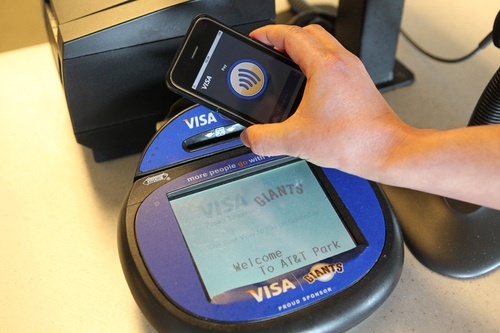 Informa estimates that by 2013 more than 10 percent of all mobiles in use will be NFC- enabled, technology support to receive NFC payment will be common, and these factors should facilitate close to 180 million users to pay restaurant bills, buy tickets, pay toll fees, and buy groceries, apparel and home equipment. In 2008, only 67 million mobile phone users accessed mBanking services, whereas in 2013 the figure could reach one billion. Amongst banks, mobile manufacturers and technology vendors, the buzz about Mobile payments is discernable. Recently Visa (the world’s largest electronic payments network), demonstrated its mobile payment solution at Dubai. With a network across 170 countries, it will not be too long before Visa takes the mobile payments technology to the mass. The stumbling block in large scale adaption would do with threat perception of transaction security. An NFC survey by ABI research indicates the transaction security to be the concern amongst users. It is only a little time and the convenience factor, which will sway the users towards use of the m-Payment platform.